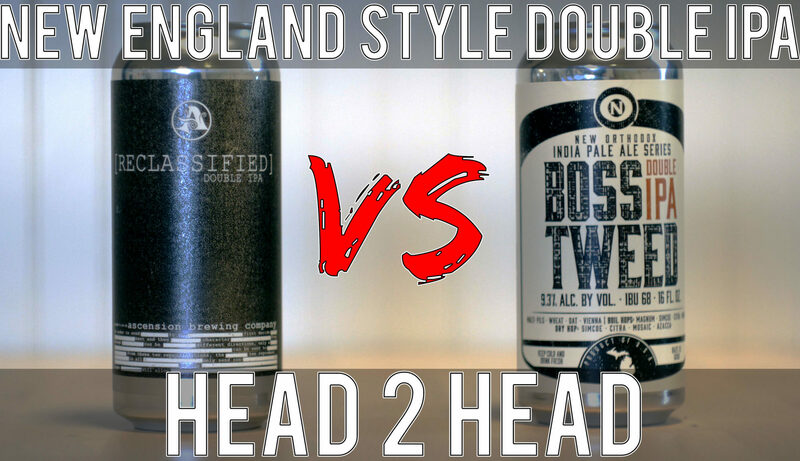 In today’s video I’m putting Old Nation’s Boss Tweed in a side by side comparison with Ascension Brewing Company’s Reclassified. Both New England Style Double IPAs are going head 2 head to see which comes out on top. Ever since first trying this new version of Reclassified about 6 months ago, I knew it was a perfect competitor for Boss Tweed, which has been my favorite New England style Double IPA to date. Which one comes out on top? Watch to find out!